This winter, I’m compiling a rather eclectic collection because that’s the mood I’m in. So here’s what I am reading in the cold, wintery days and nights, carefully handpicked some old and new treasures, which are set in Pakistan. Offered to you in the hopes that you might find something in this list that sparks your curiosity. Thereâ€™s something for everyone: fiction, non-fiction, humor, thrillers, romance, got it all covered! Kartography is a warm and complex study of friendship, love, and roots, Kamila Shamsie focuses on the interrelationships of a group of vividly upper-class residents of Karachi, particularly Raheen and Karim and their friends and unfolds the moving tale of love amid the chaos of Pakistanâ€™s civil war. Zari Zoon, a vivacious girl from Kashmir, is looking forward to marrying her fiancÃ© when tragedy strikes. Next thing she know, she is on a plane to America to stay with distant relatives who have offered to give her a temporary home to help her stitch back the tatters of her life. An Isolated IncidentÂ is a story of haunting memories and yearnings of a home lost, of a faith continuously tested and questioned and of a love that blossom against all odds. â€œI am about to point out that I just wrote a piece called threats to the coalition, but the paper is being used to soak up the grease from purisâ€ -Saba Imtiaz, Karachi, youâ€™re killing me! Ayesha is a twenty-something reporter in one of the world’s most dangerous cities. Her assignments range from showing up at bombsites and picking her way through scattered body parts to interviewing her boss’s niece, the couture-cupcake designer. In between dicing with death and absurdity. Her choices seem limited to narcissistic, adrenaline-chasing reporters who’ll do anything to get their next story, to the spoilt offspring of the Karachi elite who’ll do anything to cure their boredom. Her most pressing problem, however, is how to straighten her hair during the chronic power outages.Â Karachi, You’re Killing Me!Â IsÂ Bridget Jones’s DiaryÂ meets theÂ Diary of a Social Butterfly, a comedy of manners in a city with none. The Scatter Here Is Too GreatÂ explores the complicated lives of ordinary people whose fates unexpectedly converge after a deadly bomb blast at a train station in Karachi, Pakistan’s largest city. Bilal Tanveer reveals the pain, loneliness, and longing of these characters and celebrates the power of the written word to heal lives and communities plagued by violence. Elegantly weaving together these voices into a striking portrait of a city and its people,Â The Scatter Here Is Too GreatÂ is a tale as vibrant and varied in its characters, passions, and idiosyncrasies as the city itself. High life in Pakistan is an observation of the social and political life of Pakistan by a former Swiss Ambassadorâ€™s wife during her stay here from 2010 â€“ 2014. The book is a narrative of a society of contrasts, exploring a fascinating blend of political realities and societal conforms that makes Pakistan a very compelling country. Itâ€™s fascinating to read about Pakistan from a foreignerâ€™s perspective. Itâ€™s a must read. The Partition of British India and the subsequent creation of two antagonist countries is a phenomenon that we are still trying to comprehend. Millions displaced, thousands slaughtered, families divided and redefined, as home became alien land and the unknown became home. So much has been said about it but there is still no writer, storyteller or poet who has been able to explain the madness of Partition. Using the oral narratives of four generations of people – mainly Pakistanis but also some Indians – Anam Zakaria, a Pakistani researcher, attempts to understand how the perception of Partition and the ‘other’ has evolved over the years. Common sense dictates that the bitter memories of Partition would now be forgotten and new relationships would have been forged over the years, but that is not always the case. The memories of Partition have been repackaged through state narratives, and attitudes have only hardened over the years. Post-Partition events – wars, religious extremism, and terrorism – have left new imprints on 1947. This book documents the journey of Partition itself – after Partition. Toba Tek Singh stories present you some of the best short stories written by the master short-story writer Saadat Hasan Manto. 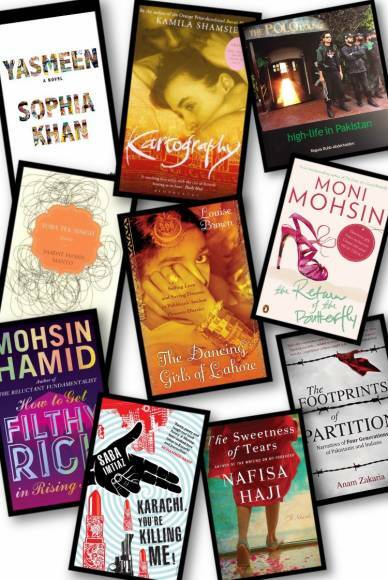 The titles included in this collection areÂ A Woman’s Life, A Wet Afternoon, The Dog of Tithwal, Colder than Ice, The Gift, An Old-fashioned Man, Bitter Harvest, Toba Tek Singh, Odour, A Tale of 1947, A Woman for All Seasons, The Girl from Delhi, Green Sandals,The Dutiful Daughter,Â andÂ The Price of Freedom. Sociologist Louise Brown spent four years in the most intimate study of the family life of a Lahori dancing girl. With beautiful understatement, she turns a novelist’s eye on a true story that beggars the imagination. Maha, a classically trained dancer of exquisite grace, had her virginity sold to a powerful Arab sheikh at the age of twelve; when her own daughter Nena comes of age and Maha cannot bring in the money she once did, she faces a terrible decision as the agents of the sheikh come calling once more. At the dawn of the 20th century in Pakistan, Freddy Junglewalla moves his family â€” pregnant wife, baby daughter, and Jerbanoo, his rotund mother-in-law â€” from their ancestral forest home to cosmopolitan Lahore. He opens a store, and as his fortunes grow, so does the animosity between Freddy and his mother-in-law. While Freddy prospers under British rule, life with the domineering Jerbanoo is another matter entirely. This exuberant novel, full of rollicking humor, paints a vivid picture of life in the Parsee community. Dadi, the imperious matriarch of the Bandian family in Karachi, swears by the virtues of arranged marriage. All her ancestors including a dentally and optically challenged aunt have been perfectly well served by such arrangements. But her grandchildren are harder to please. Haroon, the apple of her eye, has to suffer half a dozen candidates until he finds the perfect Shia-Syed girl of his dreams. But it is Zeba, his sister, who has the tougher time, as she is accosted by a bevy of suitors, including a potbellied cousin and a banker who reeks of sesame oil. Told by the witty, hawk-eyed Saleha, the precocious youngest sibling, this is a romantic, amusing and utterly delightful story about how marriages are made and unmade—not in heaven, but in the drawing room and over the phone. The return of the butterfly can be considered to be a long monologue by a woman who likes to think of herself as a ‘butterfly’ because of her carefree nature. She is beautiful, vibrant and almost everyone would like to catch her but her spirit is always soaring higher. She traverses the boundaries of personal and social as she talks about everything unabashedly, including herself, her family and her country. Everything becomes one in a strange way and appears like it is part of her personal ramblings about life. In the line of many traditional European literary works, the writer has used the character of the ‘butterfly’ to comment, sometimes not so subtly, on the life of women within the barriers of what is called ‘home’ in her homeland. Immersed in the set imperative of middle-class life in contemporary Pakistan, Mariam Ameen decides to challenge the tradition of being female. Beginning in Lahore, the novel enters its first phase with Mariam struggling to retain the memories of her dead grandfather so engrained within her. A reverse journeying then begins as she travels backwards to her roots to confront what she once left behind, in order to find the answers she is looking for. An emotional, deeply layered story that explores the far aching effects of cultural prejudice, forbidden love, and hidden histories on a young woman and her family. She writes with grace, heart, and wisdom about the collisions of culture and religion, tradition and modernity played out through individual lives. How to Get Filthy Rich in Rising AsiaÂ is a striking slice of contemporary life at a time of crushing upheaval. Romantic without being sentimental, political without being didactic, and spiritual without being religious, it brings an unflinching gaze to the violence and hope it depicts. And it creates two unforgettable characters that find moments of transcendent intimacy in the midst of shattering change. Yasmeen Khalil raises her daughter Irenie on tragic romances. After her mother vanishes without a word and Irenie discovers a box of mysterious love letters, she realizes that the ill-fated lovers of her motherâ€™s tales might be more than just myth. Searching for the answers she suspects her father has long suppressed, Irenie travels to Pakistan, her mothers homeland â€¦ and father and daughter find that they must help each other move out of Yasmeen’s shadow. Previous articleTRAVEL DIARIES: PAKISTAN ZINDABAD!